#Chinese domain spammer wants to use #Sedo to complete sale! 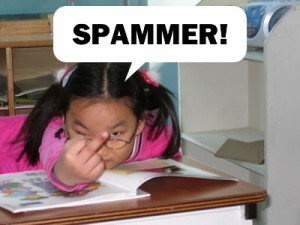 :DomainGang #Chinese domain spammer wants to use #Sedo to complete sale! #Chinese domain spammer wants to use #Sedo to complete sale! Chinese domain spammers email the owners of the most popular TLDs, such as .com, .net and .org, peddling the matching dot .CN. What would someone do with a .CN domain, when they have no business presence in China, is beyond perplexing. These phucksticks send out a templated email that attempts to instill legitimacy, by quoting the services of established sales venues, such as Sedo. We have [redacted].cn and found that the domain is pretty useful for you to explore World market. We can really consider selling it out if you are interested in it. This email and any files transmitted with it are confidential and are intended solely for the use of the individual or entity to whom they are addressed and may be legally privileged. If you are not the intended recipient or the person responsible for delivering this email to the intended recipient, be advised that you have received this email in error and that any use, dissemination, forwarding, printing, or copying of this email is strictly prohibited. YourTick Consultancy and/or its subsidiaries is neither liable for the proper and complete transmission of the information contained in this communication nor for any delay in its receipt. Gotta love the disclaimer at the bottom of this Chinese domain spam email! That’s right, we spam you and warn you about disclosing our illegal activity to the public. LOL. Let’s hope Sedo will cut down on those phuckisticks and their spamming activity!